By CNN'S ERICA ORDEN, JEREMY HERB, KATELYN POLANTZ AND MARSHALL COHEN CONTRIBUTED TO THIS REPORT. (CNN) - If accusations that President Donald Trump directed his former lawyer Michael Cohen to make illegal hush payments to women who had alleged affairs with Trump prove to be true, New York Democratic Rep. Jerry Nadler said those actions would be impeachable offenses. "They would be impeachable offenses. Whether they're important enough to justify an impeachment is a different question," Nadler, the incoming chairman of the House Judiciary Committee, said on CNN's "State of the Union" on Sunday morning. "Certainly, they're impeachable offenses, because, even though they were committed before the President became President, they were committed in the service of fraudulently obtaining the office." In a sentencing memo on Friday, prosecutors from the Manhattan US attorney's office wrote, "In particular, and as Cohen himself has now admitted, with respect to both payments, he acted in coordination with and at the direction of Individual-1." Individual-1 is the term prosecutors have been using to refer to the President. Friday's court filing was the first time prosecutors said Cohen acted at the direction of Trump to make payments to silence women who claim to have had affairs with Trump prior to his time running for office. Cohen pleaded guilty in August to eight federal crimes, including tax fraud, making false statements to a bank, and campaign-finance violations tied to his work for Trump, including hush payments Cohen made or helped orchestrate. 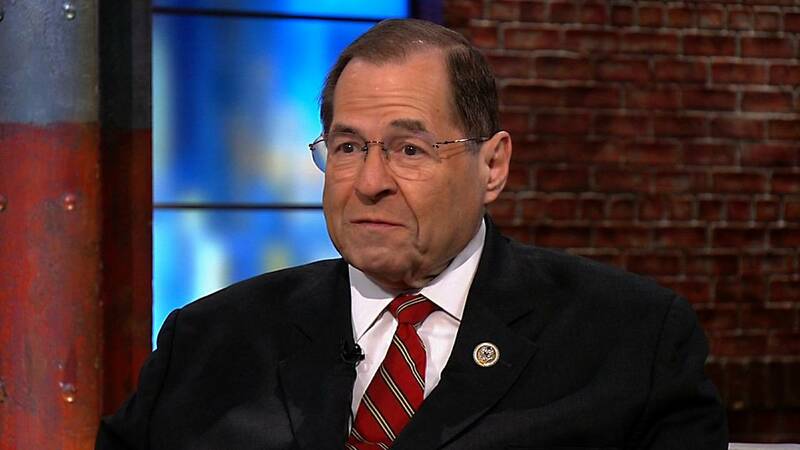 Nadler noted Sunday that although Trump's alleged direction of the hush payments might be an impeachable offense, that would not necessarily mean they would proceed with impeachment proceedings. "You don't necessarily launch an impeachment against the President because he committed an impeachable offense," Nadler said. "There are several things you have to look at." He continued: "One, were impeachable offenses committed, how many, et cetera. Secondly, how important were they? Do they rise to the gravity where you should undertake an impeachment? An impeachment is an attempt to effect or overturn the result of the last election and should do it only for very serious situations. That's the question." Sen. Angus King, an independent from Maine who caucuses with Democrats, said in an interview on NBC's "Meet the Press" that he also didn't think it was time to move forward with impeachment proceedings, saying "impeachment is entirely different from criminal prosecution." "I don't think that there's evidence yet available to the public where there would be more or less a consensus that this was an appropriate path," King told Chuck Todd. "My concern is that if impeachment is moved forward on the evidence that we have now, at least a third of the country would think it was just political revenge and a coup against the President." CNN's Tapper also asked Nadler about legislation the congressman is considering that would pause the timing of the statute of limitations during a president's term for any crimes that a president commits either before or during his or her time in office. Tapper noted that such legislation would assume the interpretation of the Justice Department that a sitting president cannot be indicted while in office -- an interpretation that Nadler said he disagrees with. "But insofar as the Justice Department refuses to indict a president, no matter what the evidence is of whatever crimes, because they think he can't be indicted, we should certainly hold the statute of limitations, so that if he does something before he's president or while he's president that should be indicted, and the Department of Justice will not consider indicting him, whatever the facts, while he's president, he can be indicted afterward," Nadler said.